At the Tokyo Motor Show in Japan, Nissan launched several unviels, including three concept cars and the new GT-R series of sports cars. 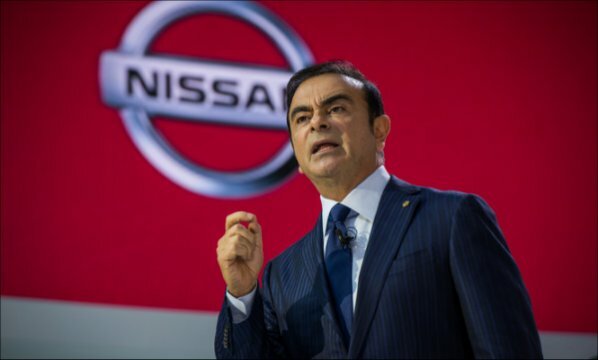 In an interview for the Nissan YouTube channel, CEO Carlos Ghosn explains some of the automaker's future plans, including what the concepts mean to the company and why they've revived the Infiniti name in Japan. You can watch the interview in the video below. Ghosn describes the GT-R NISMO as "commercial car" when compared to the BladeGlider concept. The BladeGlider, he says, is a conceptual showing what can be done with an electric vehicle platform whereas the GT-R is the company's halo car, the top-line sports model. Further, the GT-R and GT-R NISMO are further separated, with the GT-R being a "more mundane sports car" with highway comforts and better everyday driving when compared to the GT-R NISMO with its focus on track capability. In regards to the IDx concepts presented - the IDx NISMO and IDx Freeflow - he says they are "co-creative" vehicles which are presented to the public to gauge reaction and make changes according to those reactions before anything goes to production. The cars are likely production vehicles, it seems, but not in their current forms. "All carmakers will come to electric cars. Obviously, nobody's going to say 'electric cars are great' as long as they don't have one. So we're gonna see the market that is moving in this direction. You're going to have purely electric cars as well as plug-in hybrids ... I think we're moving surely towards more electrification of the car industry. The tipping point is going to be how much charging infrastructure is going to be built country by country." In the near future, we will revisit the Nissan brand marketing strategy in a Torque News interview with Pierre Loing, VP of Nissan Product Planning. Watch for that.